Popular Tibetan teacher Sogyal Rinpoche has transformed the ancient text known as the Tibetan Book of the Dead, conveying a perennial philosophy that is at once religious, scientific, and practical. Through extraordinary anecdotes and stories from religious traditions East and West, Rinpoche introduces the reader to the fundamentals of Tibetan Buddhism, moving gradually to the topics of death and dying. Death turns out to be less of a crisis and more of an opportunity. As a result, life becomes much richer. 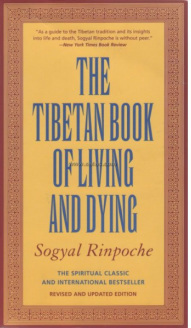 Like Elisabeth Kubler-Ross, Sogyal Rinpoche opens the door to a full experience of death. It is up to the reader to walk through.